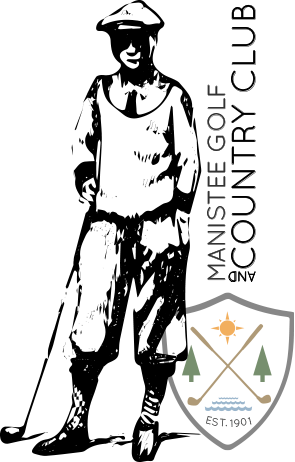 Established in 1901 Manistee Golf and Country Club is one of Michigan’s oldest courses featuring unmatched views of the local beaches, piers and breathtaking views of Lake Michigan. Take on one of our 18 beautiful holes, with many perched high atop the Lake Michigan shoreline. We also welcome the opportunity to host your outing, special event, or wedding. Contact us to learn more and let us work with you to host your event. Memberships Available / Public always Welcome! Public play is welcome at Manistee Golf and Country Club. Enjoy golf at one of Michigan’s most historic golf links, featuring wonderful views of Lake Michigan. Experience a unique spin on traditional creations by our local chef Todd “Kabuke” Cole and his staff. Dine in our historic dining room, or on our deck overlooking the course. We always welcome any and all people to join the MGCC. With full golf family memberships to corporate and social memberships available, you can be apart of the club at any desired level.